Tracy Bear found the role of community and a responsibility to others to keep going is an important factor in resilience of Indigenous Peoples. 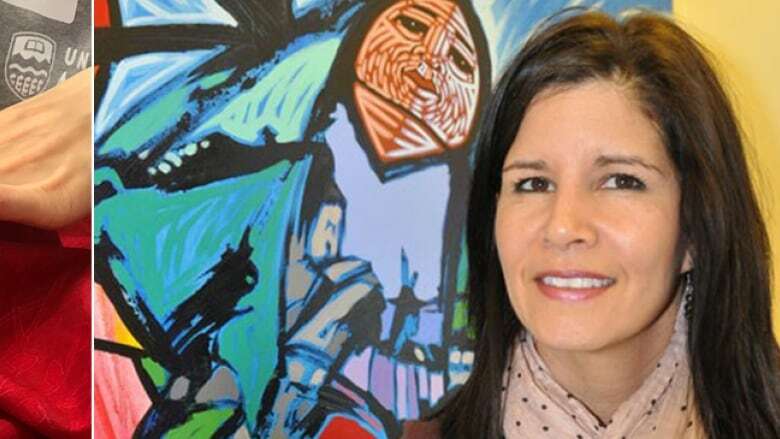 A University of Alberta researcher has found existing resilience theory didn't quite align with the resilience of Indigenous women. Tracy Bear, a woman from Montreal Lake Cree Nation, noticed one key difference. "The main difference that we found between any theory of resilience and Indigenous resilience is the idea of community," Bear said. "There's an accountability that I have as an Indigenous person to keep going, to keep doing the things that I'm doing, to help lift up others." Bear is an assistant professor cross-appointed with the Faculty of Native Studies and the Dept. of Women's and Gender Studies at the University of Alberta. Researchers studying resilience theory look at the environment in which a person is resilient and identify the assets and resources available to them based on their situation. Bear found a type of resource with Indigenous Peoples not common in other cultures: a sense of pride within the community. Bear's work on Indigenous resilience was a result of some extra funding available through the University of Alberta's work with reconciliation. But instead of focusing on conversations around reconciliation, Bear decided to focus on resilience and resistance of Indigenous women and youth. The Indigenous Women's Resilience Project also looks at the resilience of Indigenous trans and two-spirit communities. 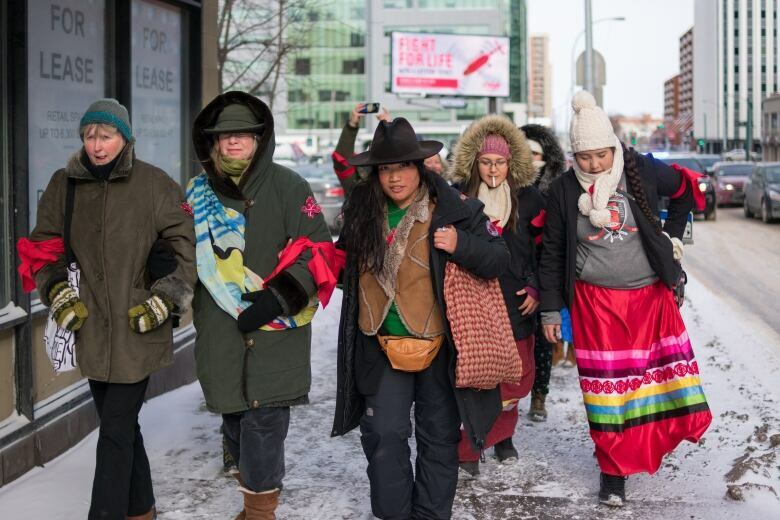 In the research, Bear and her team organized a film festival, ribbon-skirt-making workshops and a memorial march for missing and murdered Indigenous women and girls. Bear said the workshops have been particularly eye-opening for herself and the participants. Society has become increasingly more individualistic, Bear said, pulling Indigenous people away from the ways in which their ancestors shared stories and knowledge. "Those types of workshops — people getting together, doing something — often provides a lot of conversation and a lot of really good exchanges of information," Bear said. "Why not do that here on campus?" So Bear also organized a symposium at the University of Alberta held on Friday, bringing in many like-minded researchers from Canada and New Zealand. Pat Makokis, the director of Indigenous programs for the U of A's extension faculty, attended the symposium. Makokis, from Saddle Lake Cree Nation, said she has seen the resilience of Indigenous people first-hand. "When you look at our colonial history and you look at the trauma rollout that happens every day from all of the experiences our people have gone through, I would say we are absolutely resilient." She said it comes from the challenges Indigenous people and their ancestors faced and continue to face today. "We've had to deal with violence, we've had to deal with addiction, racism, oppression, marginalization in a complex circumstance of the colonial history," she said. The work that Bear and other Indigenous academics are doing on resilience is critical, Makokis said. Framing conversations about reconciliation through the lens of perseverance allows Indigenous people to come to the conversation from a place of strength. Bear's work will continue to summer 2019. She's hoping to collect unreleased data sets from universities and make them publicly available. But after the symposium, she's not sure where her research will lead her. "Where do we want to go from here? We don't know," Bear said. "We want to delve a little bit deeper, to mine what [resilience] means to people." But she said what she's learned through her workshops and research has been invaluable so far. "It's been amazing, the connections we've been able to make." Kyle Muzyka is a Métis journalist on secondment for CBC Unreserved. He's worked at CBC Yellowknife and at CBC Edmonton for more than three years. Reach him at kyle.muzyka@cbc.ca.